Mary, I would love to have a wonderful veggie garden like Bunny's. 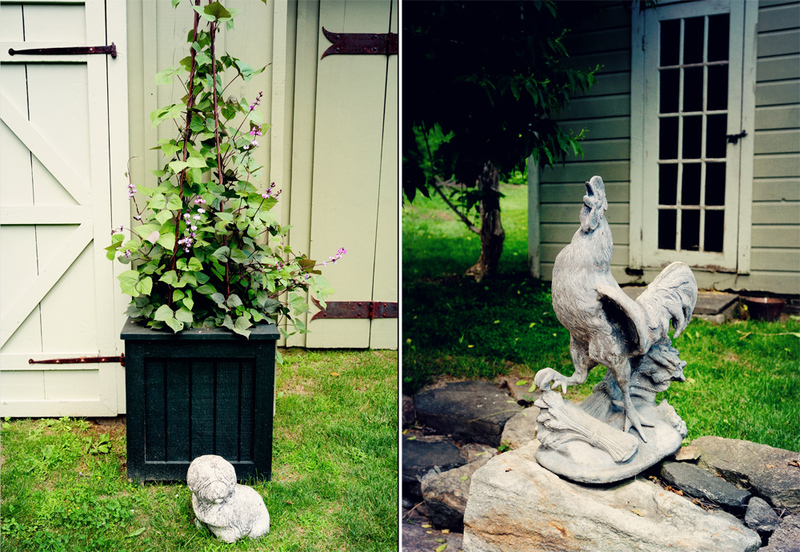 And I love the cute rooster statue. Wonderful photos from your garden tour. Thanks for sharing, have a great week! Whatever those white balls are in with the cacti/succulents really look like little fluffy-bottomed chicks with their little feet sticking out...yellow flowers, I believe. I've not seen that variety before. I'm looking very closely to see what she's using as material on her paths through the garden...pea gravel perhaps and straw? Hope that it's cooler for you all by tomorrow. Perhaps you'll have a chance to turn of the AC as well. These are beautiful shots, Mary, and I love that green house and garden! Looks like a piece of haven! Loved seeing these pics - thanks for sharing your rip to Bunny's gardens. I did not get a mosaic ready this time - hope to next week. This is wonderful Mary! I love Bunny Williams. I can't imagine having all those grounds and a green house like this at my fingertips, Mary! i also love the potting bench. It's such a treat to get a glimpse of her beautiful garden! Happy Monday! Oh, to have your talent with photography! 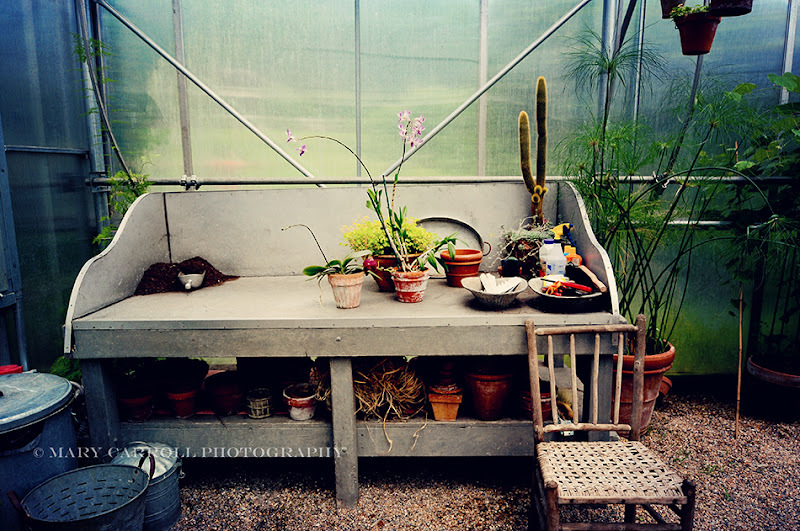 The potting bench pic is my favorite, but they're all fabulous. I hope you have a delightful week! Love this trip through Bunny's garden. I used to garden even as hot as it is now but no more. Got to young and spry for that. But I so loved it. Thanks for this relaxing tour. I am enjoying these visit's to Bunny's beautiful property and gardens. Thanks for hosting Mary. What a beautiful vegetable garden. And that potting bench caught my eye, too. The vegetable garden is wonderful. I wish I had more room for vegetables. Laying out the structure of new beds this fall. The potting bench and greenhouse are to be envied. Some lovely blogs here that I've seen. Happy to join you. I love that potting bench too - such a sturdy and good-looking piece. We have summer now - after a long, cool and damp spring that lasted just too long! Oh my, thats my kind of greenhouse. I could keep myself busy in their all day long. What a lovely garden. So much work goes into taking care of that. It's got to be a real labor of love. 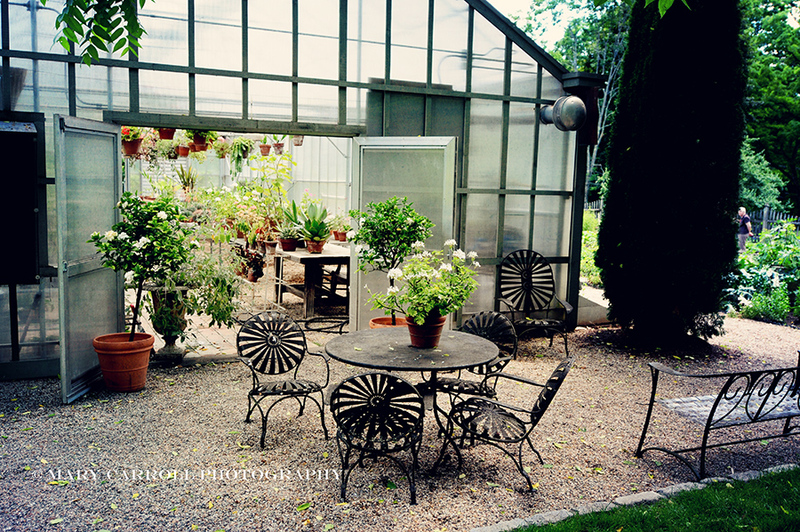 Oh what a lovely garden and that potting bench is a dream! I am back after a long time and thank you so much for having me over, Mary. I have linked both my blogs today! Love to you and your family! Is everyone home for the summer? I still hope that you're having peaceful days (in spite of the heat and everything).... weather-wise, we've had beautiful day after beautiful day after beautiful day - barely breaking into the nineties - we need a horrible and rainy day very badly, though. Mary, I ran the well dry for the second time, this season! gack! =( But it is BEAUTIFUL! =] So - out to the garden I go!!! What a beautiful garden. Loved the visit! I am havin' a picnic today over at my blog. 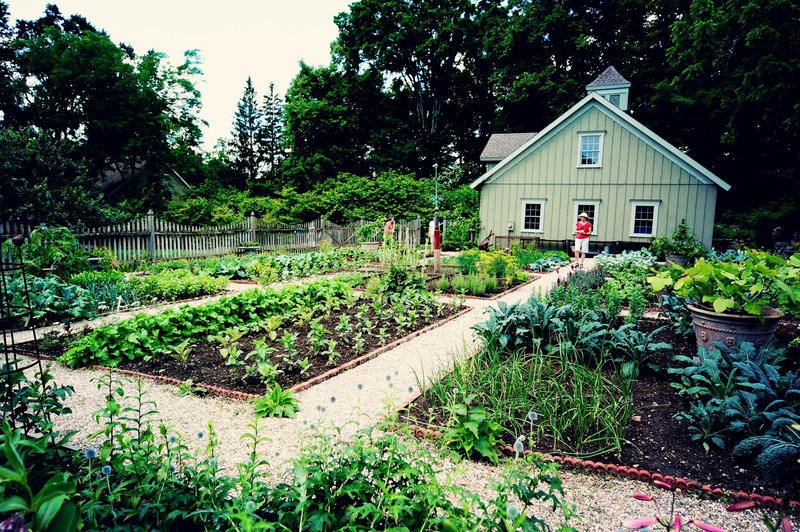 What a lovely vegetable garden and the greenhouse,wow! Oh, what a peaceful and lovely place. Beautiful photos. This is my first time linking up to Mosaic Monday. Thank you for the opportunity, and happy Monday to you! Such a lovely garden filled with inspiration! Happy Monday to you, and have a nice week! What a wonderful garden you have shown us today. It will certainly be my gold standard in the future as I continue to work in my tiny patch of heaven. Thanks for the tips, I did not know how to make a mosaic, now I am off to try. Already have a flickr acct! Check out my blog when you get a chance, I make cards take photos, too! I would LOVE to have a garden and barn like Bunny's. Thanks for sharing these lovely pictures and for hosting this fun party! Oh it is that delightful vegetable garden that I lust for! If I had the room and the labor I would have one just like it! Gorgeous photos Mary! Wonderful looking garden. 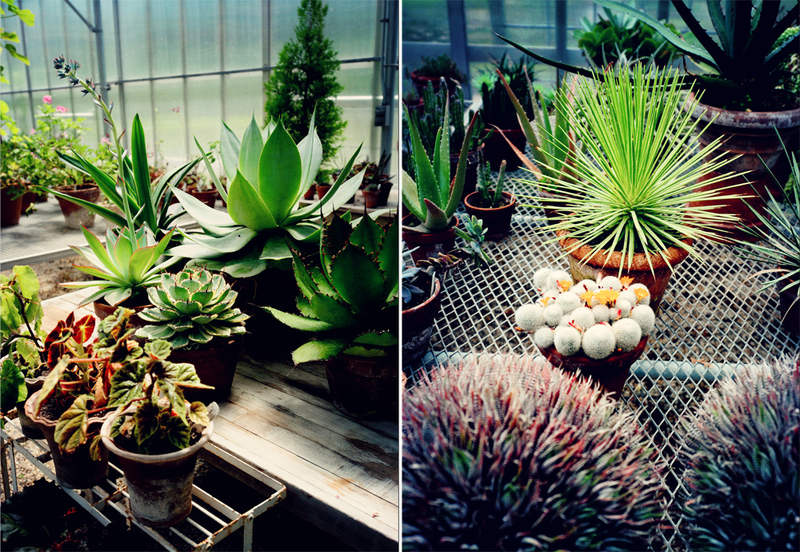 The Cacti and Succulents are such interesting plants.